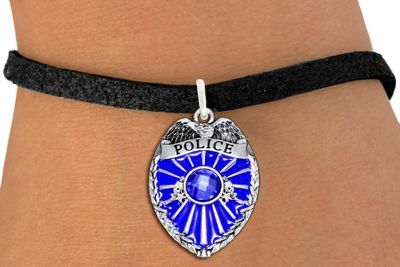 Exclusively Ours! Lead, Nickel & Cadmium Free!! 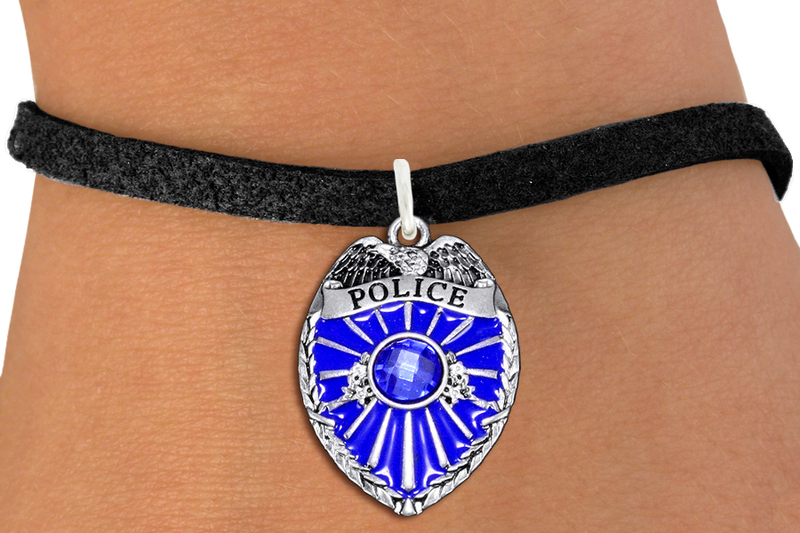 Detailed Antiqued Silver Tone Police Shield Charm Is Accented With A Large Faceted Blue Crystal And Comes On A Bracelet Of Your Choice: Toggle Chain, Link Chain Or Black Suede Leatherette With Lobster Clasps.